Complimentary shuttle transportation is available throughout the resort grounds. Groundbreaking in Spring 2019 with completion in 2021. Concerts by premier entertainers, conventions, and other events. Live, free entertainment on weekends on select holidays. Small shows or private gathering. Open Fri-Sat 5pm-11pm, Sun 5pm-10pm, Tue-Thu 5pm-10pm. Reservations recommended. 580-920-0160 ext 1590 after 3pm. Italian dishes - pizzas, calzones, lasagna, fresh pasta dishes. Open 9am-2:30pm Fri-Sat and 7am-10pm Sun-Thurs. Named for the Butterfiled Stagecoach Line. Dinner Fri-Sat 4pm- 0pm. Sun-Thu 4pm-9pm. Traditional American food including burgers, chicken, hot dogs and French fries. Starbucks coffee, salads, sandwiches, soups or dessert. Texas-style Bar-B-Que from the Salt Lick in Austin, Texas. Open Fri 4pm-11pm, Sat 11am-11pm, Sun 11am-9pm, Wed-Thu 4pm-10pm. Closed Mon-Tue. 1,000 new employment opportunities are expected to be created by the Choctaw Casino and Resort expansion project. The Choctaw Casino and Resort is located in the city of Durant. By creating 1,000 new jobs it is expected to create a boost to the local economy in Durant. 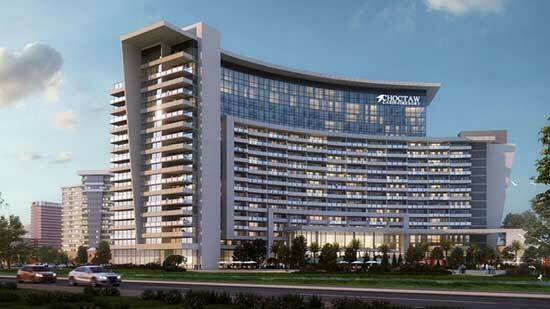 On Tuesday the plans for the new expansion project at the Choctaw Casino and Resort were announced. Plans include a new hotel that will be developed. 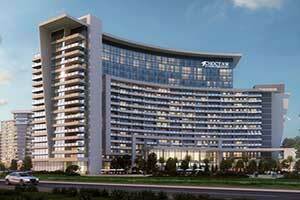 The new hotel will offer 1,000 rooms for guests. The expansion project will also include pools, a lazy river, shopping, conference center, and multiple dining venues. In addition, more gaming space at the casino and additional parking in the new parking garage. The casino first opened in 2006. At that time the casino was 100,000 square feet. In 2010 a new 12 story tall hotel tower was opened. In 2012 renovations were completed at the Choctaw Lodge and Choctaw Inn. The District family entertainment center, Grand Theater, and an additional hotel tower and spa were opened in 2015. 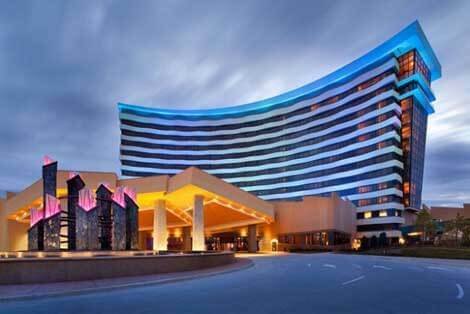 This will be the fourth expansion project that the Choctaw Casino and Resort has undergone. The latest expansion project came about to due to a market study that was conducted. The study showed that there is a need for more entertainment options in Southern Oklahoma and North Texas. It is estimated to take 2 years to complete the project. The Choctaw Nation is hopeful to begin construction next year in the spring.